The Chelsea FC Windrunner Men&apos;s Jacket features the classic elements of the track original—a chevron chest panel and durable fabric that helps protect you from the elements at the game or on the streets. Have your say. 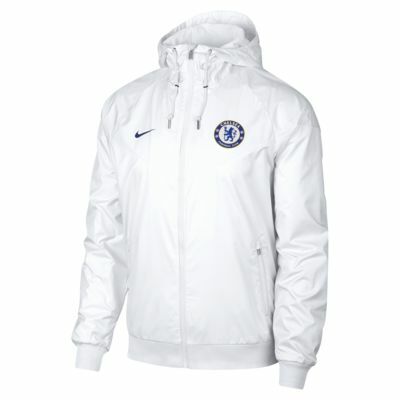 Be the first to review the Chelsea FC Windrunner.